John was born in Black Mountain, North Carolina which is deep in the Blue Ridge Mountains, just about 15 miles East of Asheville; however, he spent the majority of his younger years surrounded by family in rural Georgia. He was known for being a bit wild and this only aided his case for joining the U.S. Navy to which his eldest brother obliged him by signing the papers that allowed him to enter the Navy only a few short days after turning 17. John served his country aboard the USS Saint Paul, a Baltimore-class heavy cruiser designed for long range and high speeds during the Korean War where he saw plenty of action. He was one of the few crewmen who could man all of three types of artillery aboard the vessel. In Southern California, John received his Honorable Discharge from the U.S. Navy and that very day he met the woman who would be his wife for the next 65 years, Dorothy Fletcher. The two were married on January 22 of 1954. Together they raised three daughters, settling in Los Angeles. John worked for Western Electric, which transferred him from Los Angeles to San Jose. Starting a new life together in San Jose in 1969, John and Dot purchased the house they still reside. After Western Electric he moved to Pacific Bell for many years before retiring in 1987. 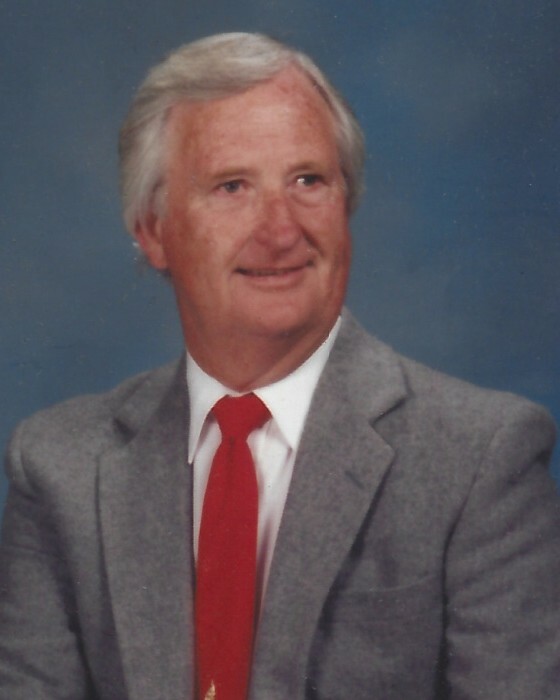 His dedication and pride to the things he loves, such as, golf and the U.S. Navy prompted him to become president of both The Sirs Golf Committee and USS Saint Paul Association. John Cooper is deeply missed by his devoted wife Dorothy; their children Michele Knight with husband Jim, Charlene Cook with husband Phil, and Cheryl Cooper - who he is now with; his grandchildren Gabriel Knight, Briana Reynolds with husband Ian, Kendall Ward with husband Patrick, and Kelly Lee with husband Brian; and five great-grandchildren Patrick Reynolds, Reilly Reynolds, Emmet Ward, Logan Lee, and Kaylin Lee.